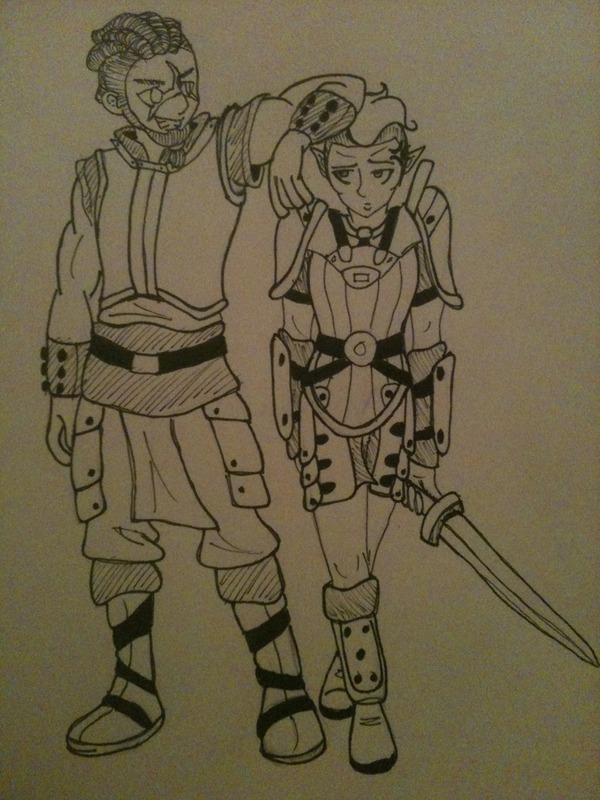 BFFs Gorr and Callen from Interesting NPCs. I like to think that poor Callen the Bosmer endures quite a lot of short jokes from her hulking Redguard companion. Callen definitely has the tongue to parry whatever jokes Gorr may say, though.